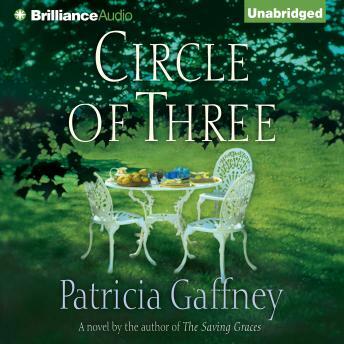 Patricia Gaffney's sensational national bestseller, The Saving Graces, won the hearts of readers everywhere and propelled her into the first ranks of contemporary women writers. Now this gifted author illuminates the silken bonds of family through the interconnected lives of three generations of women in a small town in rural Virginia. "Can grief last for a person's whole life?" That is the question Carrie struggles to answer after the sudden death of her husband. She also mourns the death of their love - an emotional erosion that began long before her husband's heart gave out. Complicating matters is Carrie's mother, Dana, a snobbish yet sympathetic woman who tries to do what she thinks best. Dana, too, mourns a painful loss - the disintegration of her relationship with Carrie. "I'd give anything for the closeness we used to have, but she won't let me in." At the end point of these two generations is Carrie's daughter Ruth, who silently copes with a double tragedy of her own, the loss of her father and the emotional abandonment of her mother. "She's still got me, but she's about half the mother I used to have." Through their stories, Patricia Gaffney explores all women's relationships - the things that sometimes divide them, but ultimately bind them together. Wise, moving, and heartbreakingly real, Circle of Three creates the perplexing and invigorating magic that is life itself.